Peter Gisolfi is an architect, landscape architect, and teacher whose design work addresses the interplay between landscapes and buildings. His primary focus is to shape places—usually groups of buildings connected by open space. Most of the work is "contextual," based on a careful understanding of regional climate and traditions. For 25 years, he has designed buildings and landscapes that are adapted to the environment, constructed with local materials, and fit gently into their natural and man-made settings. The work is intrinsically sustainable and beautifully crafted. He is a critical thinker whose essays and opinions have been widely published for two decades. 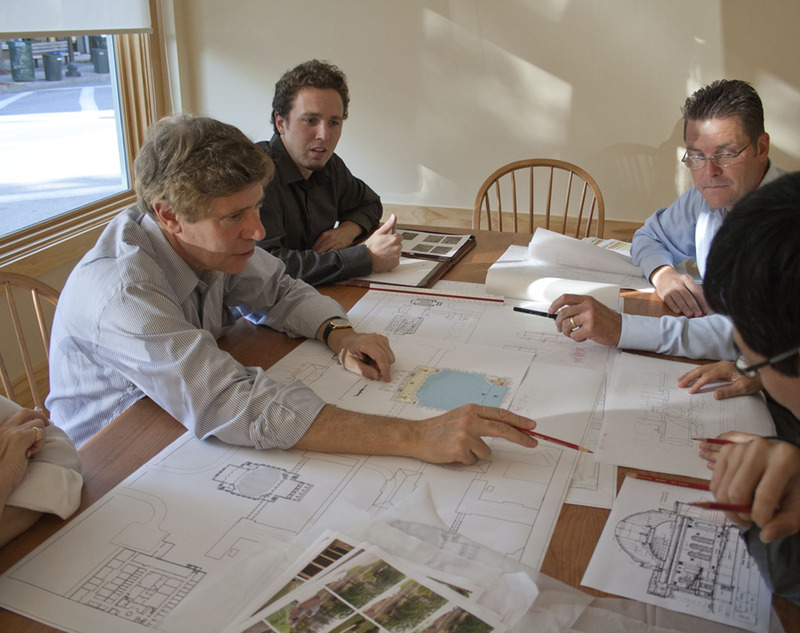 Mr. Gisolfi is the founding partner of Peter Gisolfi Associates, Architects and Landscape Architects, where he is principal-in-charge of design. He is recognized for the design of significant public buildings and landscapes, projects for prestigious academic institutions, and for transformations and restorations of notable historic buildings. Mr. Gisolfi is a Professor of Architecture and Landscape Architecture and serves as Chairman of the Spitzer School of Architecture at the City College of New York. He was previously an Adjunct Associate Professor of Architecture at Columbia University for twelve years. His work has received numerous design awards, has been consistently published in national magazines and newspapers, and has been featured in many books. His book, Finding the Place of Architecture in the Landscape, was published by Images Publishing in 2008.